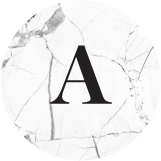 Welcome to the A List Profiles website located at https://A List Profiles.com/ (the “Website”) which includes all subdomains present and future. We hope you enjoy your visit and / or use of the Website. The Website is owned and operated by A List Profiles, a division of Park 59 Media (“A List Profiles”), a duly incorporated Canadian company. Where the present Policy refers to A List Profiles, it may refer to Park 59 Media and/or its officers, directors, employees, agents or representatives, depending on the context. In this Policy, a Website visitor or user may be referred to as “you”. Where you (or you acting on behalf of a company or other organization) have registered to use A List Profiles’s services (the “Services”), you may be referred to as a “Customer” in this Policy. A List Profiles reserves the right, at any time and without prior notice, to modify or replace any provisions hereof. It is your responsibility to check the Policy periodically for changes. Your use of the Website and/or the Services following the posting of any changes to the Policy constitutes acceptance of those changes. A List Profiles takes your privacy and security of Personal Information very seriously. This Policy describes the limited ways the information is used and the limited access to such information. This Policy covers the treatment of personally identifiable information (“Personal Information”) and other information gathered by A List Profiles when you are using or accessing the Website or using the Services. This Policy also covers A List Profiles’s treatment of any Personal Information that A List Profiles may share with its business partners or other third parties under very limited circumstances. This Policy does not apply to the general practices and treatment of information (whether personal or not) by third parties that A List Profiles does not own or control, including but not limited to any third party websites or services that you elect to access through the Website or via a link from the Website (“Third Party Website”), or to individuals that A List Profiles does not manage or employ. While we attempt to facilitate access or link only to those Third Party Websites that share our respect for your privacy, we cannot take responsibility for the content or privacy policies of those Third Party Websites. We encourage you to carefully review the privacy policies of any Third Party Website you access. Finally, this Policy does not cover any Personal Information you send to A List Profiles via any non-secured mode of communications such as email, instant messenger or social networks, as communications via these methods may be subject to interception, loss, or alteration. While we welcome your comments and suggestions sent to us in this manner, we encourage you to carefully examine what Personal Information you send to A List Profiles via these methods. A List Profiles does not, as a matter of course, gather any of your Personal Information while you are using the Website or Services, unless you are asked to provide such information, for example by signing up for an account. Personal Information is only gathered with your informed consent. Where you have provided Personal Information, it will only be used for the stated purpose, as detailed more specifically in the next section. As a Customer, you will be required to create an account and enter the following Personal Information in order to use the Services: name, company name, company address, company phone number, email address, location, niche and social media accounts. In this Policy, this shall be referred to as “Account Information”. Account Information is used to manage your account, to verify your credentials for logging-in to the Services, to communicate with you information about your account and to promote you to the brands and agencies we work with. A List Profiles automatically collects certain information using a third-party analytics program, Google Analytics to help us understand how our users use the Website and Services, but none of this information identifies you personally. For example, each time you visit the Website, we automatically collect certain information such as your IP address, browser and computer type, access times, the web page from which you came, and the web page(s) you access (as applicable). We use information collected in this manner only to better understand your needs and the needs of the Website users in the aggregate. A List Profiles also makes use of information gathered for statistical purposes to keep track of the number of visits to the Website and the specific pages on the Website with a view to introducing improvements. A List Profiles uses the third party software outlook, Yesware, and Mixmax to manage our mailing list and send out emails. Personal Information (your name and email address) is transferred to such service in order for the mailing list to function properly. Your Personal Information is only used to send out emails properly; it is our understanding that such service does not use this Personal Information for any other purpose, and will not transfer or sell your Personal Information to any other third party. For more information, please refer to appropriate websites. You may unsubscribe from A List Profiles’s mailing list at any time, by following the link at the bottom of all A List Profiles emails. Please note if you unsubscribe from A List Profiles’s emails, you may not receive important information about your account. A List Profiles is committed to ensuring that we respect anti-spam legislation, specifically the Canadian law informally known as Canada’s Anti-Spam Law (“CASL”, S.C. 2010, c. 23). If you believe you have received emails from us in violation of this law, please contact us using the contact information further up in this Policy. If you wish to inquire about and access what Personal Information A List Profiles holds about you, or if you wish to delete any Personal Information held about you from our databases, please contact us using the information further up in this Policy. Please note that deletion of your Personal Information may make it impossible for you to use the Website or the Services. A List Profiles uses tracking technology (“cookies”) on the Website and by using the Website or Services you agree to their use. Cookies are small text files placed on your hard drive when you visit a website, in order to track use of the site and to improve the user experience by storing certain data on your computer. The Website and Services uses “session cookies,” which improve your user experience by storing certain information from your current visit on your computer. Despite A List Profiles’s best efforts to ensure that third parties will not access or obtain your Personal Information through your use of the Website or Services, complete confidentiality and security cannot currently be guaranteed on the Internet. Communication via the Internet is subject to interception, loss, or alteration. You acknowledge and agree that A List Profiles cannot be held responsible for damages resulting from the transmission of confidential information or Personal Information over the Internet and that such communications are at your own risk. A List Profiles, and/or its respective officers, directors, shareholders, owners, officials, partners, partnerships, principals, employees, affiliates and other related entities, servants, agents, representatives, successors and assigns, will not be held liable for any losses or damages (pecuniary or otherwise) resulting from the misuse of any information collected by any third party, or any misuse of any information collected through the Website or Services not in violation of the Policy. This Policy and A List Profiles’s practices in general are designed to be in compliance with Canada’s Personal Information Protection and Electronic Documents Act (“PIPEDA”, S.C. 2000, c. 5). If you have any questions regarding this compliance, please contact us using the contact information further up in this Policy.